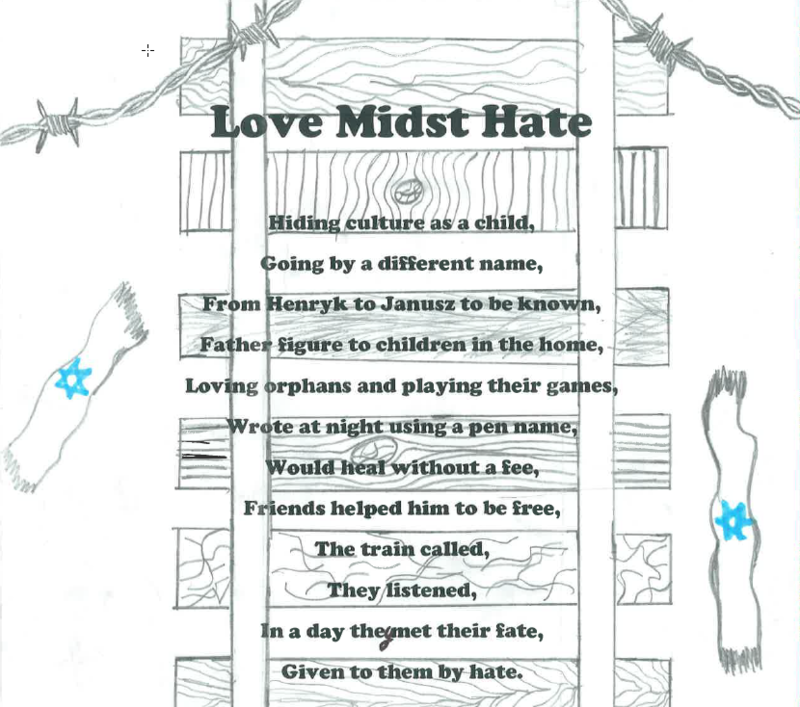 In 1985, Ghetto Fighters’ House in Israel brought out a collection of poems about Janusz Korczak and excerpts from his writings, illustrated with children’s drawings. 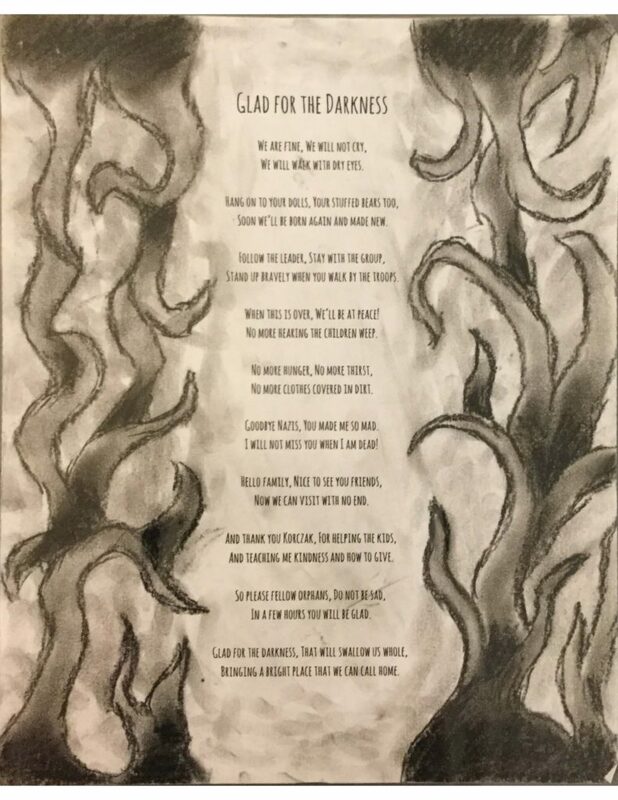 You can find a link to many of these poems at TheHypertexts.com. 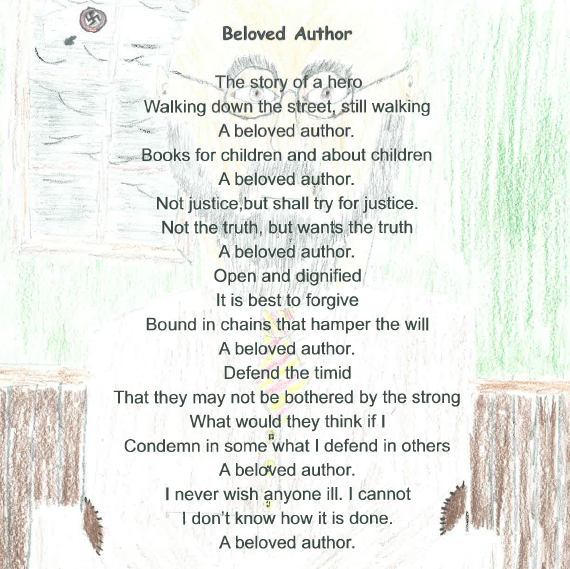 Bella Dizhur (1903-2006), Russian refusnik poet, whose work has been suppressed in Russia, met an orphan who escaped from the Warsaw ghetto in 1942 and told her Korczak story. 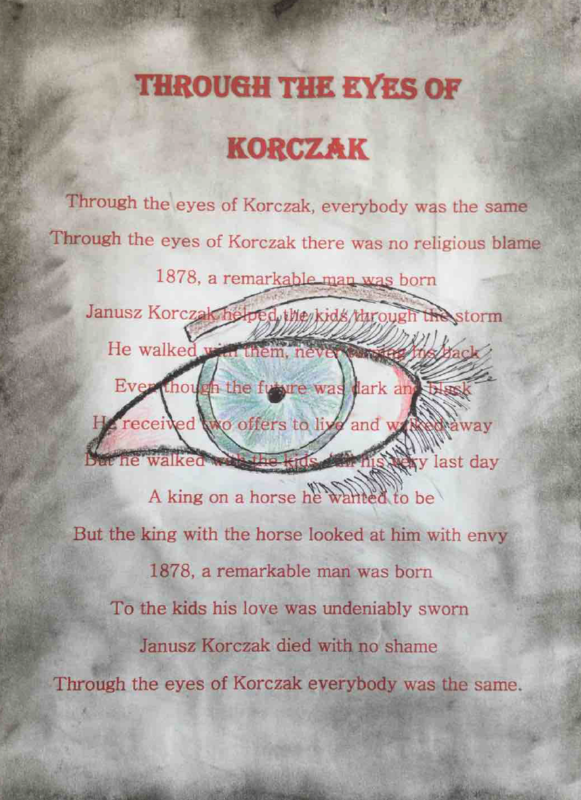 She wrote a beautiful poem entitled Janusz Korczak. 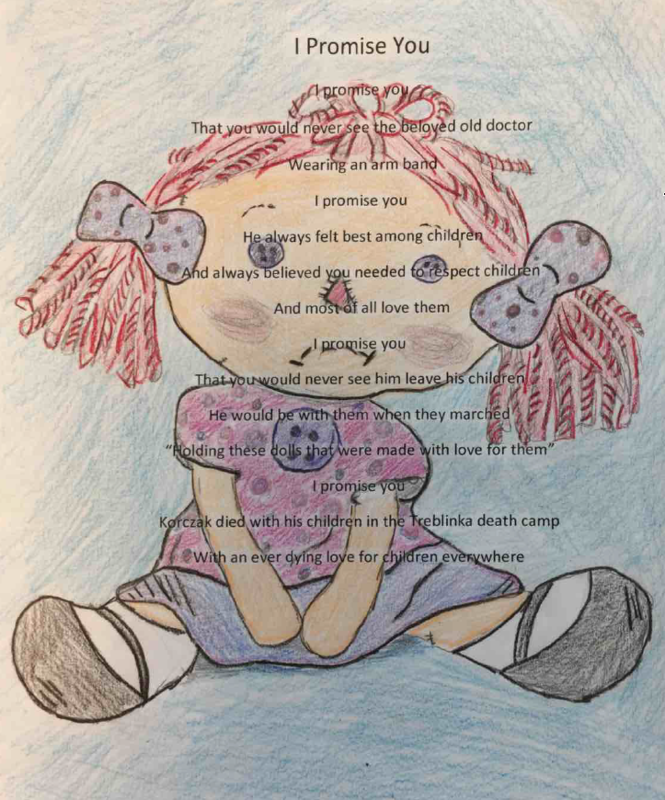 This stunning and moving poem is available in a collection of her poems Shadow of a Soul. The book is available from her grandson, Andrew at 917-254-5199. Richard Mirabel (1920-2007), worked for the Little Review, children’s newspaper at the Korczak’s orphanage from 1934 until 1937. For Richard his assignment was a real school of life, and social justice, intellectual pursuit and freedom to express his thoughts. When he joined a radical leftist youth organization in 1937, his father sent him away to his uncle in Canada. As soon as the war broke out, Richard volunteered for the Canadian Air Force. After 7 long years of fighting, he realized that none of his family members, his friends or anyone from the Korczak orphanage had survived. After the war he turned to writing. He was a private man and his poetry was an expression of his inner dialogue and his struggle with big life questions. 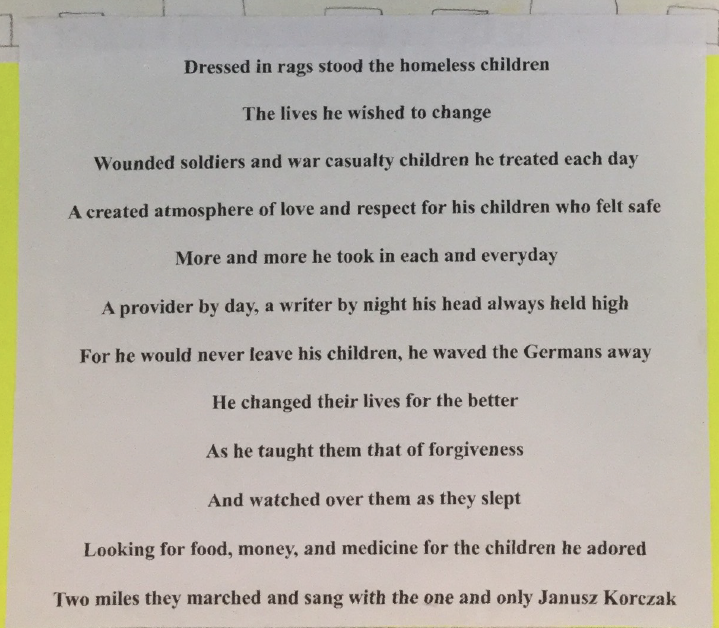 His poems with the help of Janusz Korczak Association of Canada and Olga Medvedeva-Nathoo were published after his death in 2012 in a beautiful volume entitled Poems. 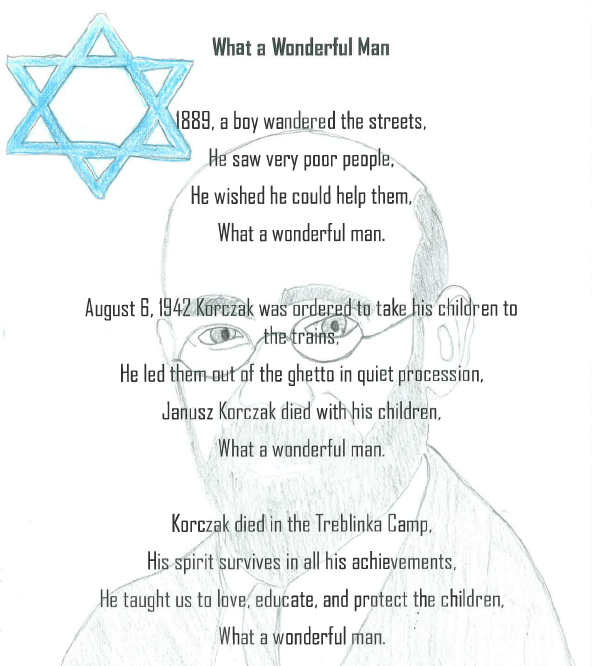 One of the poems is a tribute to Korczak and his children and is entitled In Memoriam to Janusz Korczak (pgs 24-26). 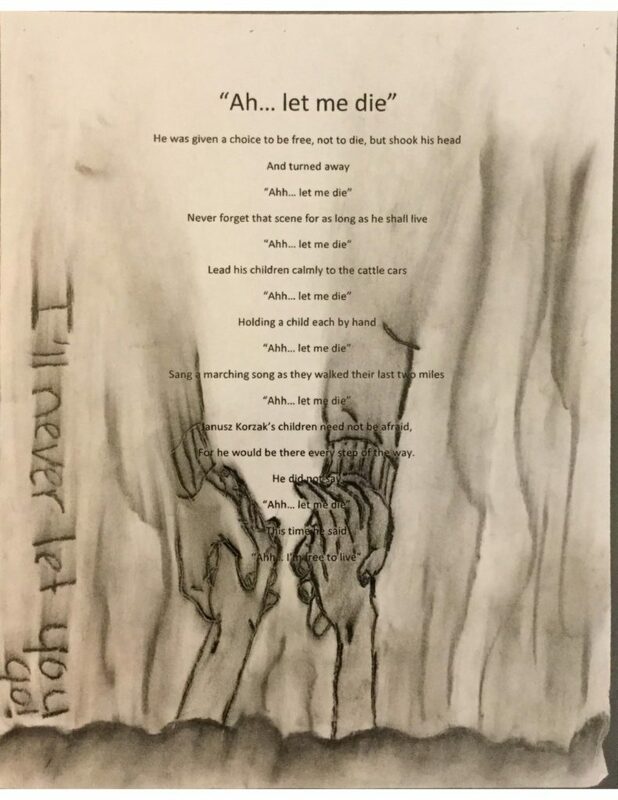 Julie Scott, 8th grade Language Arts teacher in Spokane, WA introduces her students to Holocaust through the story of life and death of Janusz Korczak. 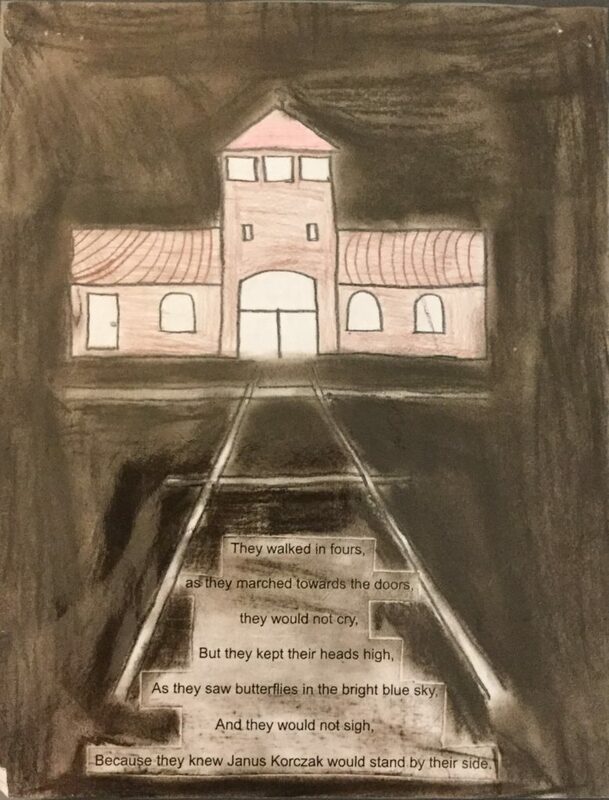 Students listen to the story, watch two videos, read recommended material and use excerpts from selected sources to write and illustrate a found poem on the life of Janusz Korczak. 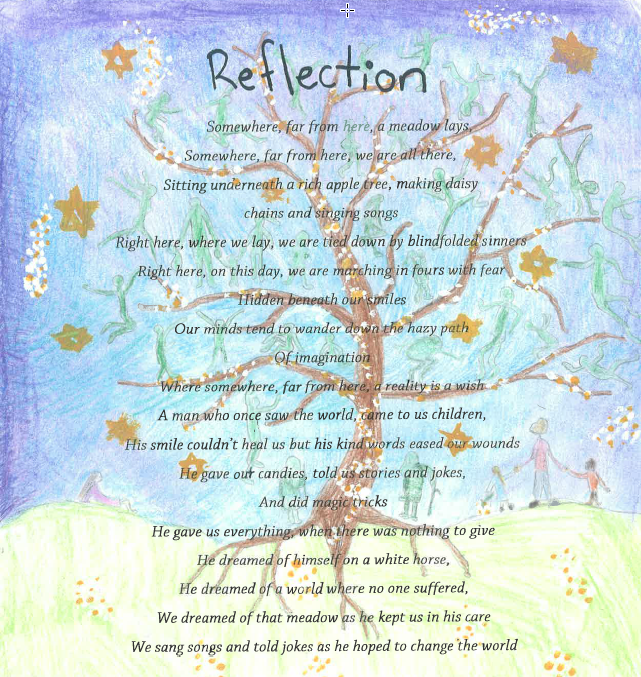 Here are some of the examples of the poems her students created over the past few years. The project meets common core state standards and Julie is happy to share the materials with other teachers. She can be contacted at: scottj@evsd.org.